Another aging Baby Boomer comedy is upon us: A Walk in the Woods is the film adaptation of Bill Bryson’s personal account of his attempt to hike the 2,000 mile Appalachian Trail. Directed by Ken Kwapis (The Office, “The Sisterhood of the Traveling Pants), the film features Robert Redford, Nick Nolte (Affliction) and Emma Thompson (Saving Mr. Banks). In 2005 Redford announced that he would produce the film adaptation of Byrson’s 1998 best selling memoir with Redford as the Bryson and his Butch Cassidy and the Sundance Kid (1969) co-star Paul Newman as the less-physically fit Stephen Katz. Ten years later the film has finally come to fruition, this time with Nick Nolte as the gruff, pudgy, wild haired Stephen Katz. Ultimately this is a better casting choice than the ever-fit Newman. 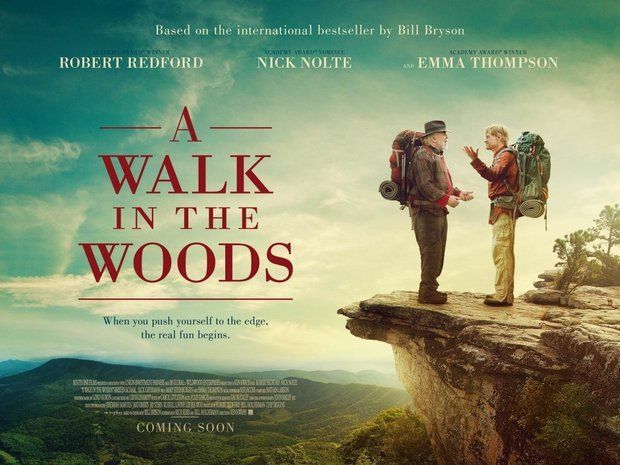 A Walk in the Woods opens in theater today.